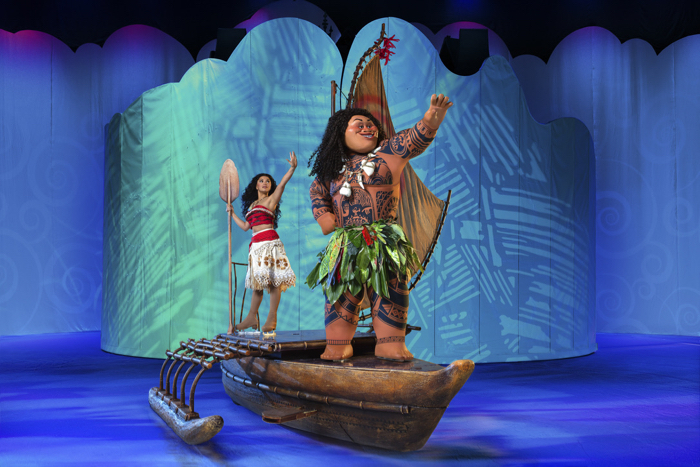 Disney On Ice Presents “Dare To Dream” and Introduces Moana! This week we continued a holiday family tradition: we went to see the presentation of the newest Disney On Ice show, “Dare To Dream”! This was the 3rd time I’ve taken Kaitlyn, and a first for both J and Kingston. Kingston finally has the attention span to sit through the show, so we made it a whole family fun night! 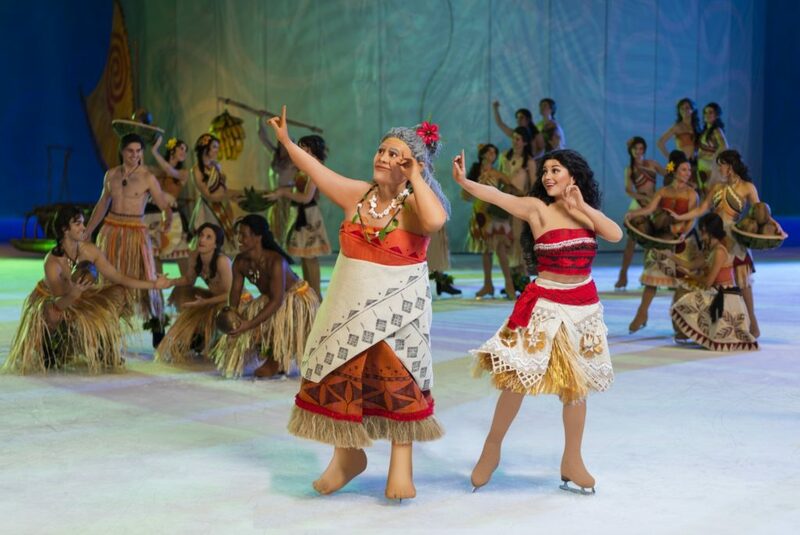 2018’s Disney On Ice tour introduces Moana on the ice, for the first time ever! 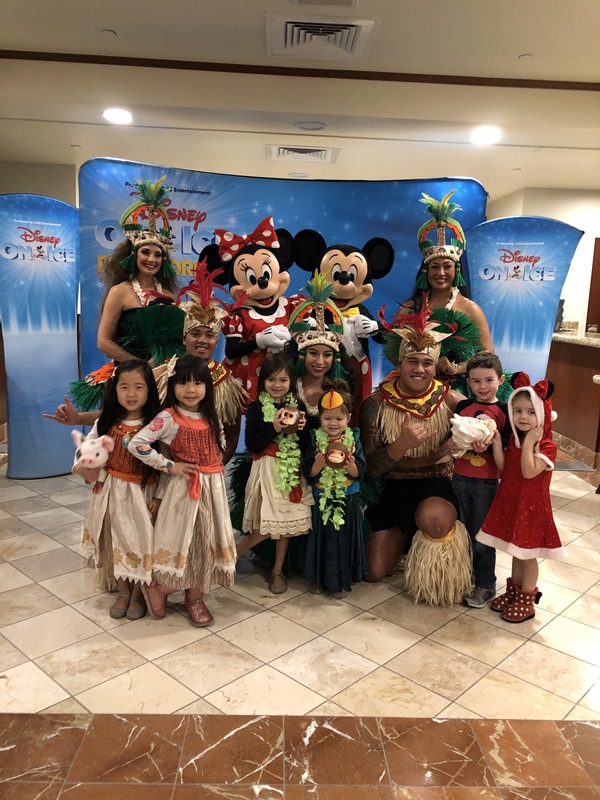 To celebrate the arrival of Moana on the ice, some members of media and bloggers/influencers were invited to attend a special pre-show event that included traditional Polynesian dancing, Kakamora arts & crafts, and a visit with Mickey and Minnie. 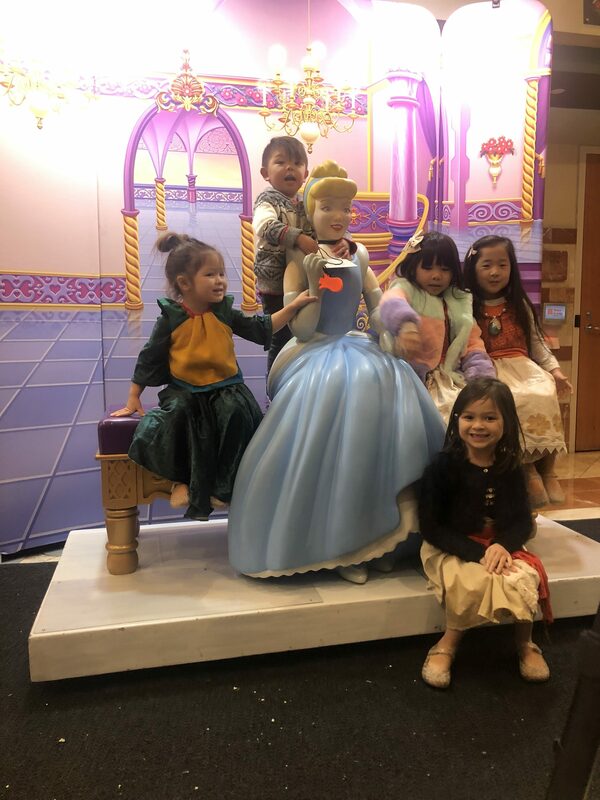 We arrived at the mezzanine an hour before showtime and had ample time to buy snacks, peruse vendors and shopping, take a quick potty break, and head to our seats in time to watch the pre-show Coco singalong! 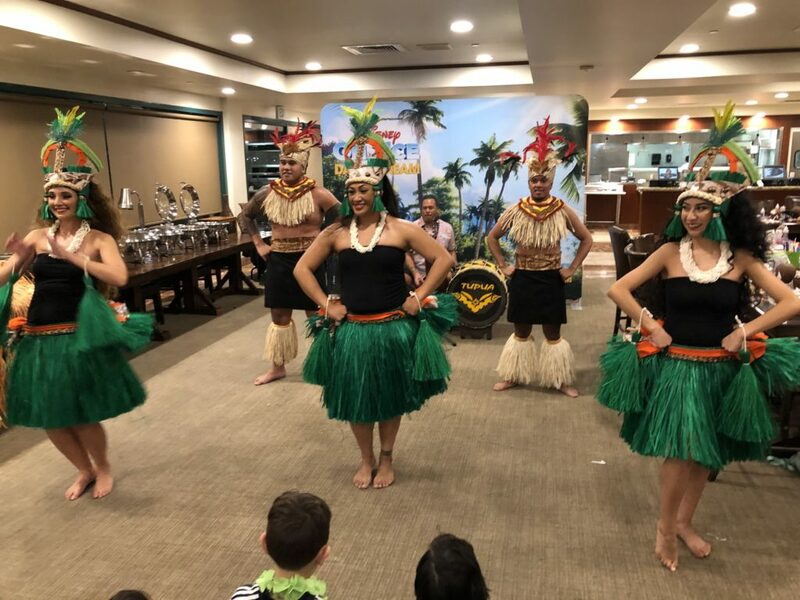 This is definitely a highlight you won’t want to miss! Especially if your kids are like mine, and belting out tunes from the hit movie all.day.long. The main event beings promptly on time, so be sure to arrive at least 10 min. beforehand to catch the Coco portion. TIP: Bring coats, scarves, and/or light blankets. The arena can get pretty chilly! 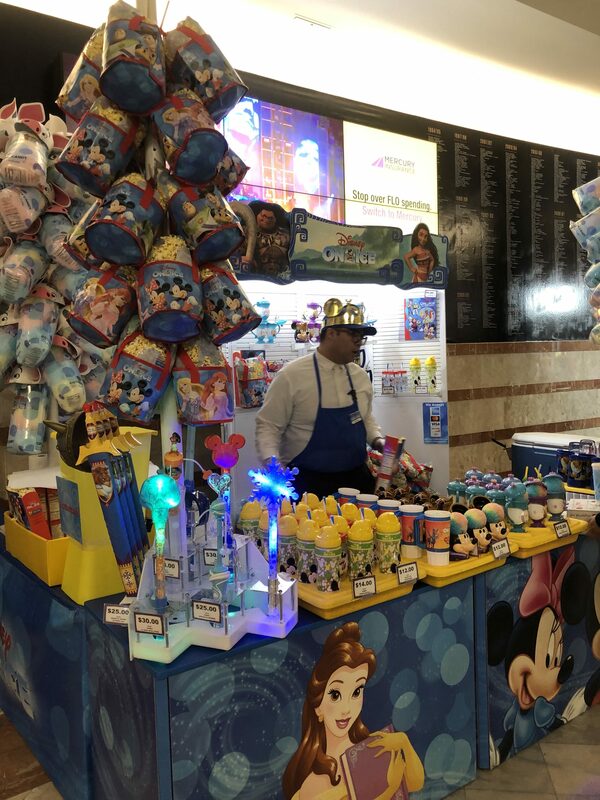 Also, bring your own Disney merchandise for your kids to wear/hold if you feel inclined. Merchandise can be pretty pricey! Kids water bottles are allowed to bring in. TIP: Cameras with removable lenses (so all DSLRs) are NOT ALLOWED in the Honda Center. Despite being there as part of media, a couple of attendees and I had to take our DSLR cameras back to the car. Hence, I only had my iPhone to take pictures and videos. I did see some people manage to get their DSLRs in, but just a heads up in case you’re thinking about bringing it. * Thus, many of my photos here will be borrowed from more “professional” images. 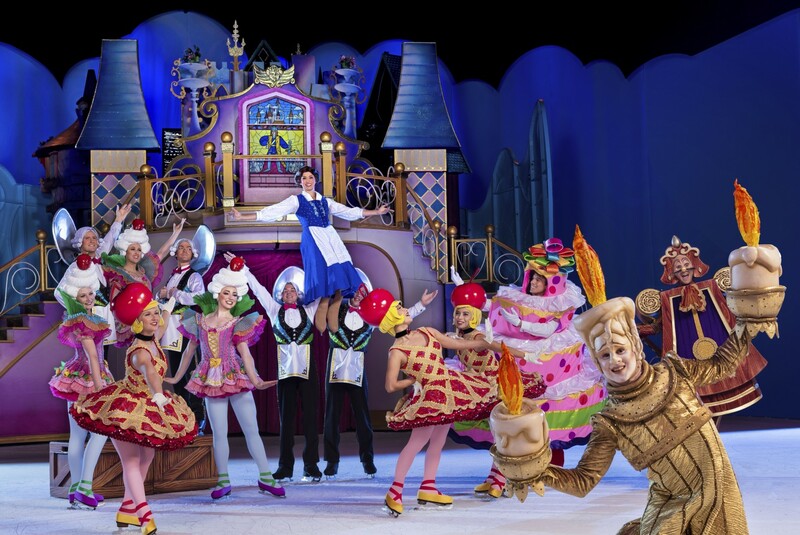 The start of the show begins with a fan favorite, Beauty and the Beast. We loved how colorful and over-the-top this portion was, and how they changed it from previous shows. 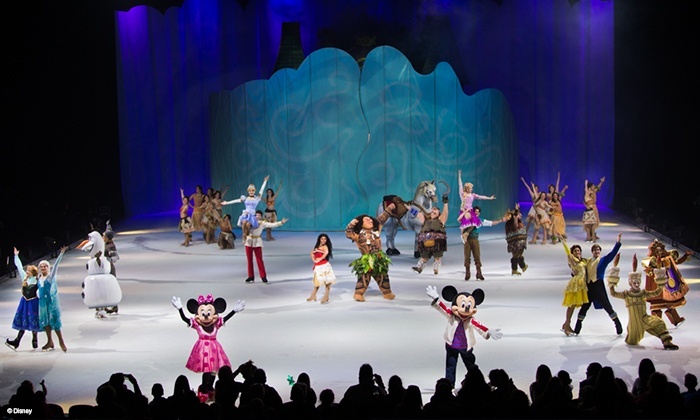 No two shows are ever alike! 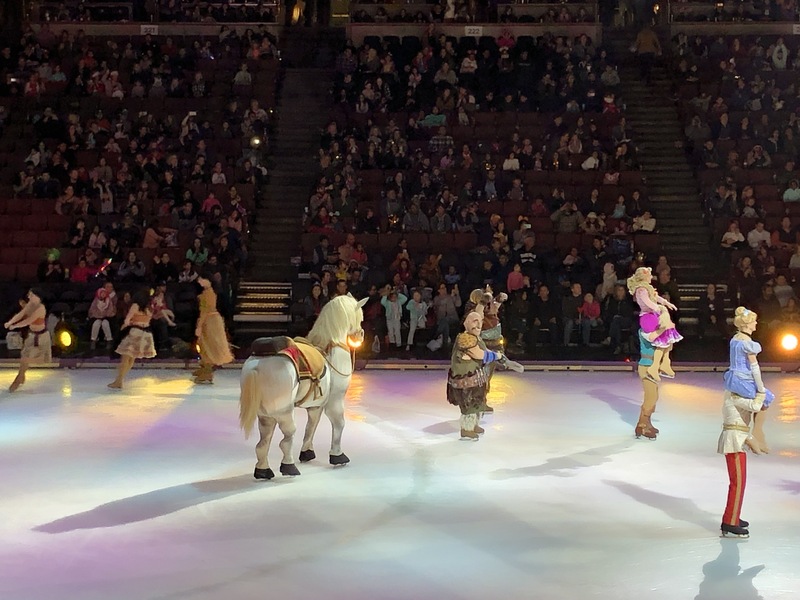 The next segment was from Tangled, and the skating Maximus horse was a unanimous crowd favorite, with laughter erupting all around! 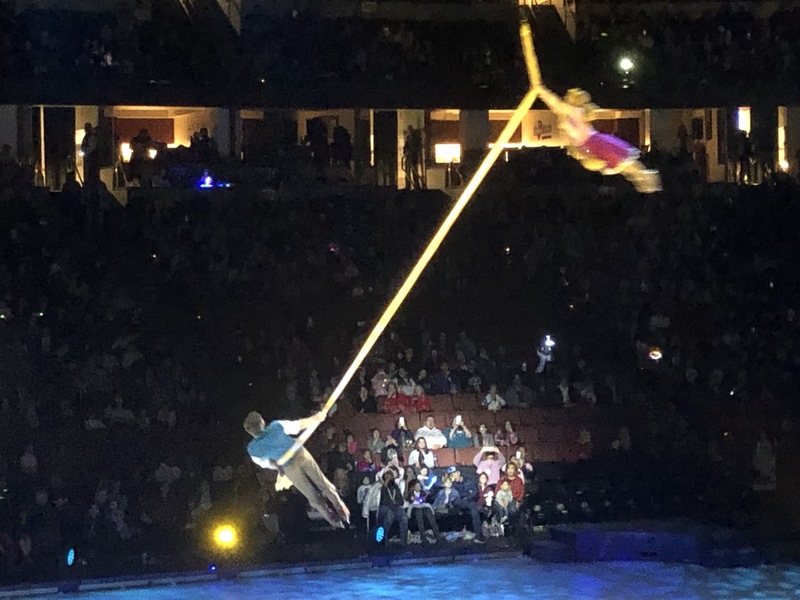 The aerial acrobatics in Disney On Ice shows are truly amazing. No words. Jaws drop on the kids of all ages. 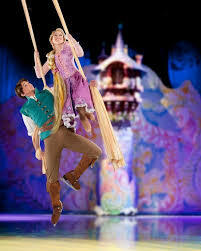 The lantern portion of Tangled always gives us the warm and fuzzies, and it was brought to life in the arena! Love. 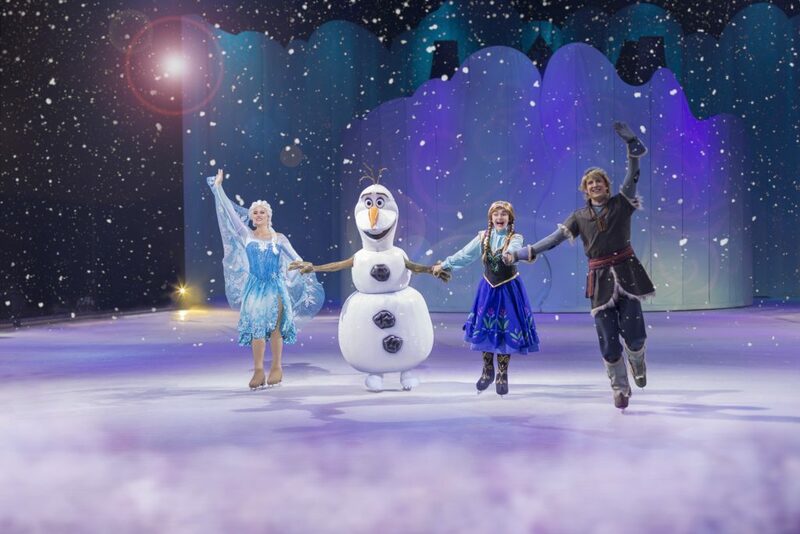 After a brief Intermission, we return to everyone’s favorite Ice Princess, Elsa, and her magical powers. What can I say? 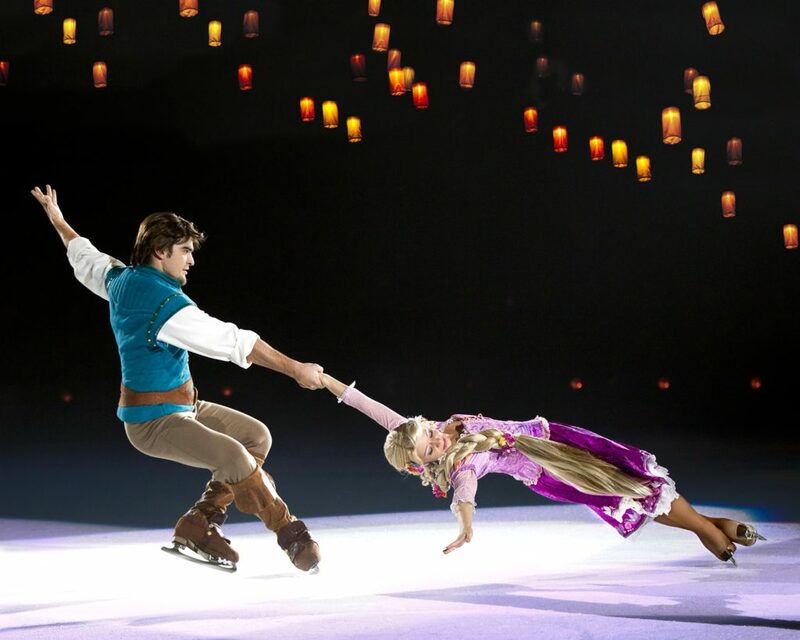 Ice and Elsa go had in hand! And there was snow!!! Finally we arrive to the highly anticipated Moana segment, and boy did it blow expectations out of the water! 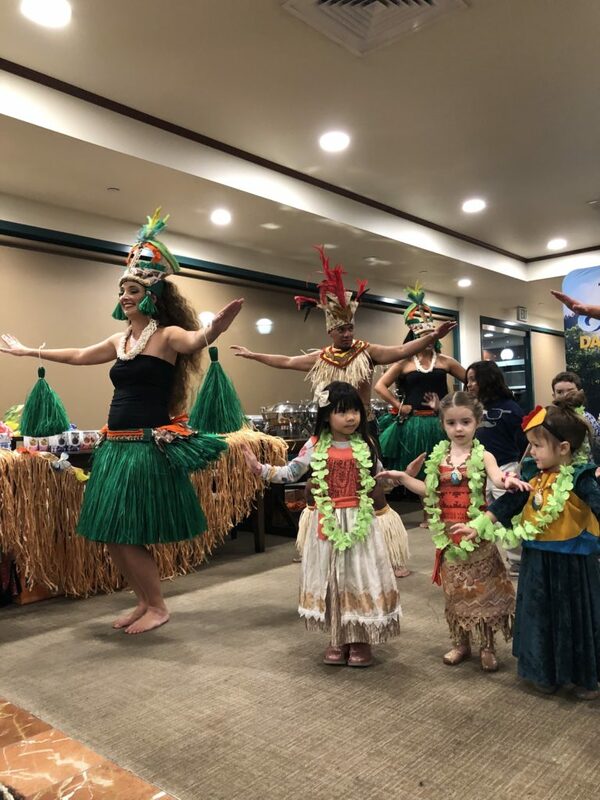 We traveled from the village of Motonui and singing with Grandma Tala, to meeting of Maui. 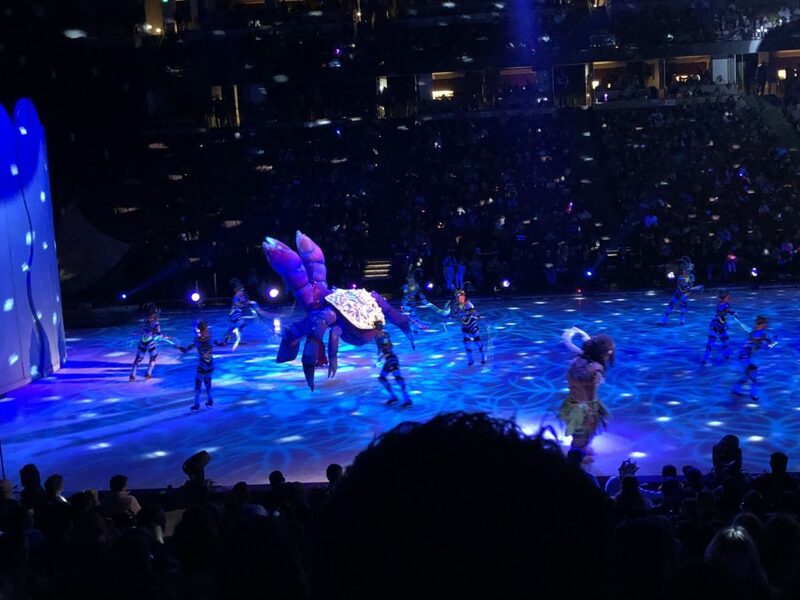 Perhaps my favorite highlight was the larger-than-life Tamatoa singing “Shiny” with the whole Honda Center reflecting like a disco ball! 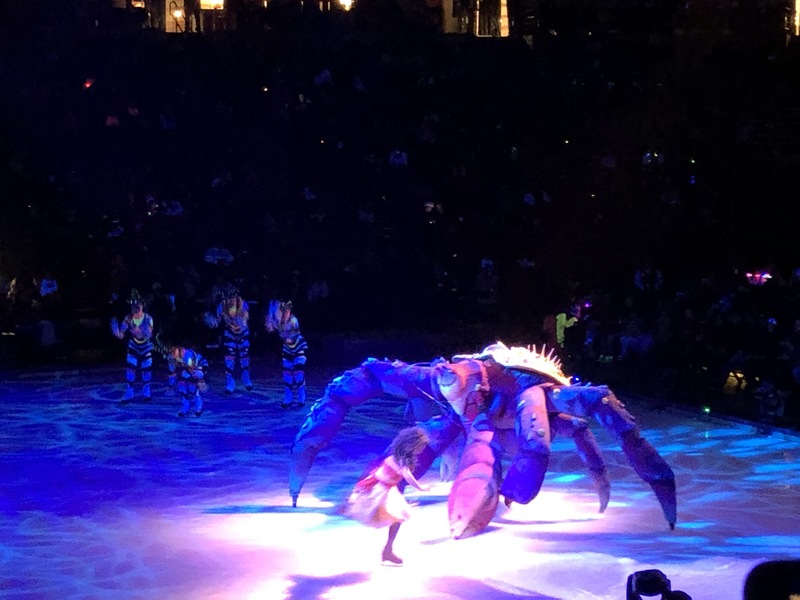 Of course, no Disney On Ice show would be complete without a roundup of all our favorites joining together on the ice for a final exuberant number! 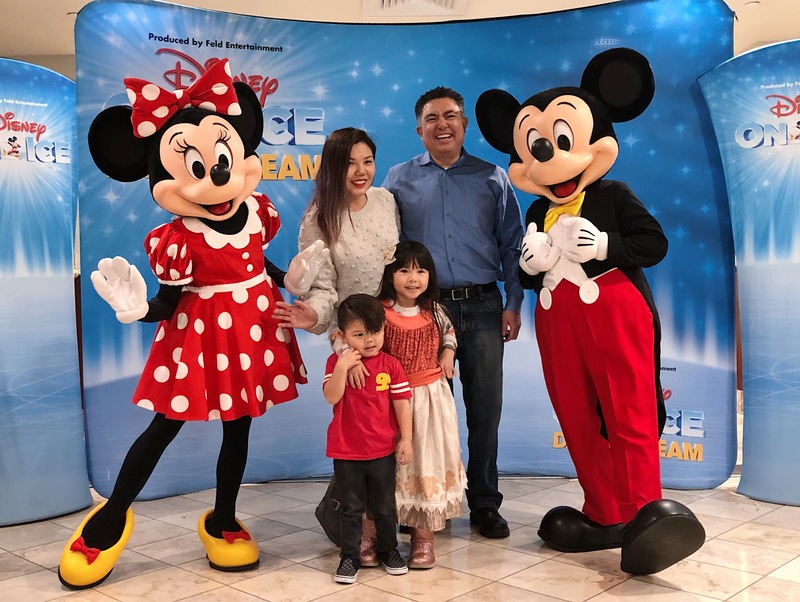 We had such a great time as a family! Although we were given tickets to the show, all opinions expressed are genuine and true, and I will continue this tradition as long as the kids want to go! It has become such a highlight of the season for us. 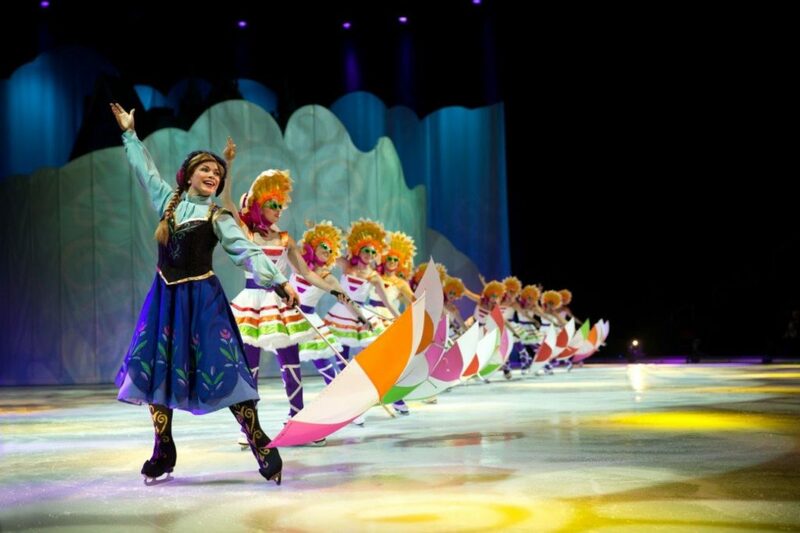 Have you been to a Disney On Ice show yet? 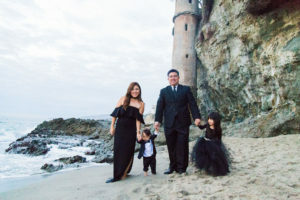 Look at THIS POST for dates in the Southern California area and additional tips. 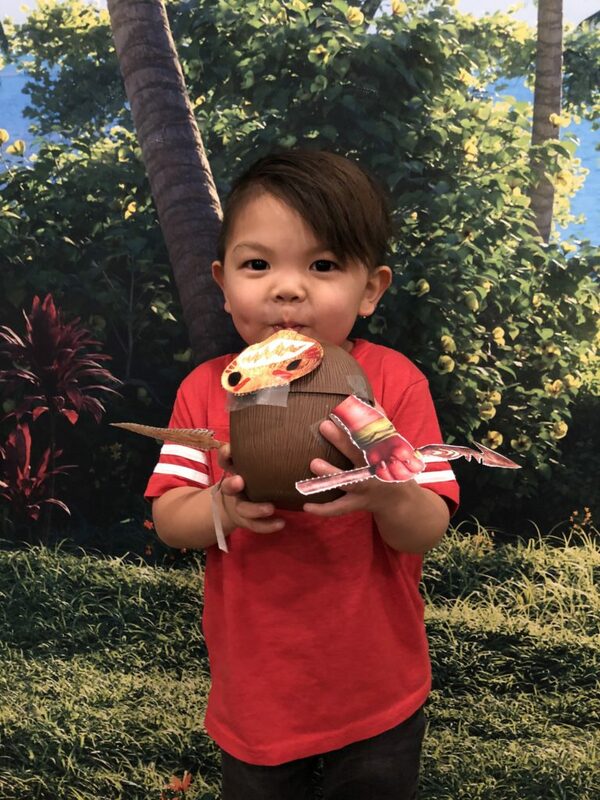 AND use CODE: MOM20 to save 20% off on select date! 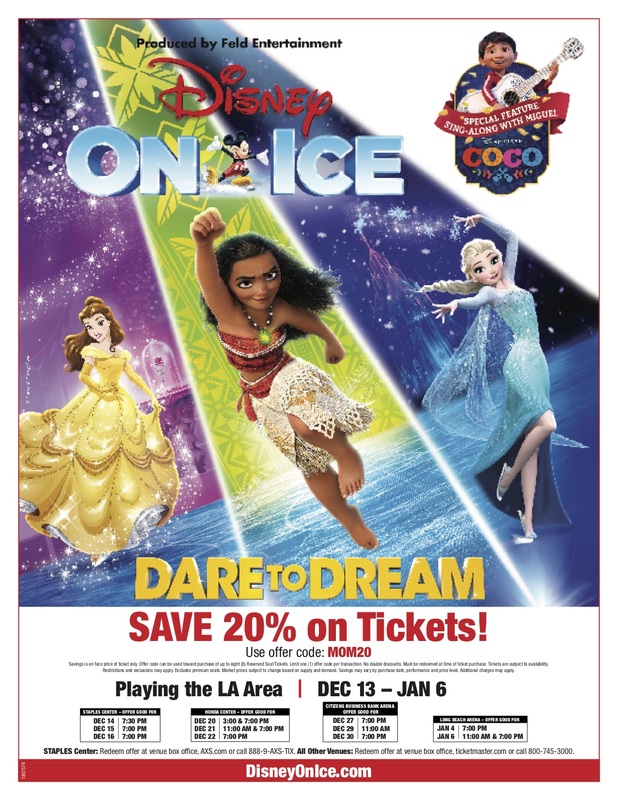 SoCal Dates run until Jan. 27th (including San Diego)!